Following the approval of Proposal 1 in November, Michigan has become the first state in the Midwest where residents can legally grow and use recreational marijuana. Under the terms of the new legislation, anyone age 21 and older can possess up to 2.5 ounces of marijuana on their person and have up to 12 plants in their home. It is also legal to keep up to 10 ounces of marijuana in a home, as long as amounts greater than 2.5 ounces are kept in a locked container. In rental properties, however, landlords still have the legal authority to enforce certain more restrictive marijuana policies as well. Landlords can enforce smoking bans on their properties, for example, and they can prohibit their tenants from growing marijuana on the premises. They can also prohibit tenants from selling and displaying marijuana and marijuana accessories on the property. 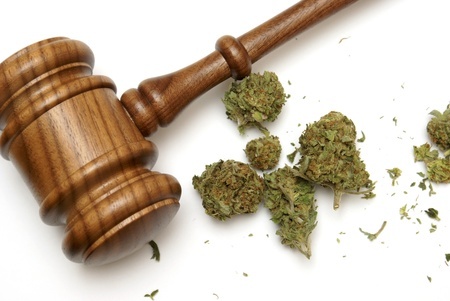 Landlords cannot prohibit their tenants from possessing limited amounts of marijuana (up to 2.5 ounces) though. This means that tenants can legally consume marijuana in the form of edibles and oils while in their homes. Whether or not tenants can legally vaporize marijuana in their homes remains something of a gray area in the law. Regardless of its legal status, landlords can still add language to their leases that specifically addresses vaping on their properties. It’s also worth noting that the current law allows landlords to deny prospective tenants who express interest in smoking or growing marijuana in their home. Because federal legislation still treats marijuana as an illegal and controlled substance, it would be prudent for landlords to carefully consider their legal risks before openly allowing marijuana in their residential rental properties. Still have some lingering questions about how proposal 1 will affect landlord-tenant law in Michigan? Feel free to give us a call or contact us online to speak with an attorney at the Law Offices of Aaron D. Cox today!